It's been a week since OnePlus addressed a weird issue with its flagship that behaved erratically when an emergency number was dialed. The Chinese company was quick to release a small software update that patched the issue which was explained in an official statement later on. Unfortunately, it appears that the update broke something as many OnePlus 5 owners now complain the battery life is draining unusual fast when the smartphone is idle. Even with the Doze mode enabled, some OnePlus 5 owners claim their battery level dropped by 20-25% during the night. There's a huge thread on OnePlus forums where people share their experience with the phone after the 911 fix was released. All of them report that they have started to have battery drain issues soon after the last week's update. Currently, no one knows what's causing it, and there's no workaround. Since the thread is on OnePlus forums, we believe the company is already aware of the problem, which means it might already work on a fix. 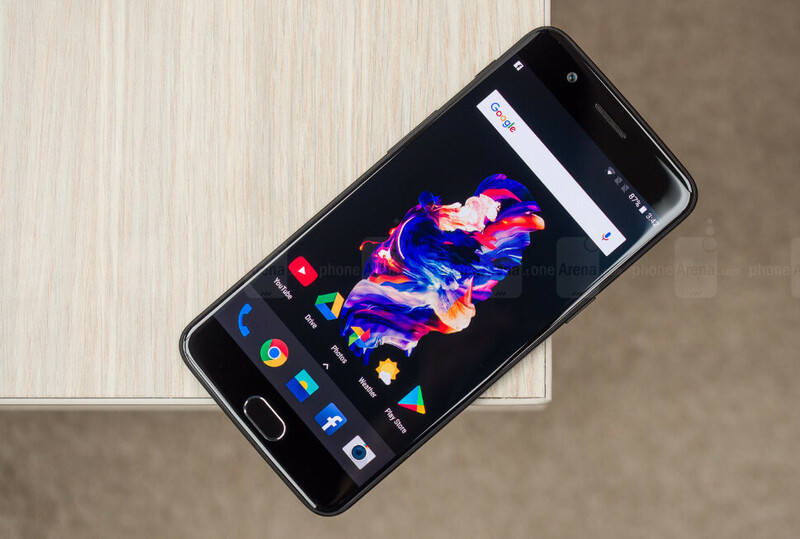 It's worth noting that since not all OnePlus 5 phones were affected by the 911 issue, the battery drain problem will not be experienced by all those who own the flagship. Come on OnePlus, fix your software. No need to copy the problems of the iPhone just because you blatantly copied their design. What problems would that be exactly? Or you just had to make a "dur hur hyuk Apple sukz, Android rulz" comment? Last I checked iPhone had neither a 911 or battery problem. "Last I checked iPhone had neither a 911 or battery problem." Sounds like you missed this: https://www.phonearena.com/news/Apples-iOS-10.3-update-fixes-the-bug-that-overwhelmed-the-911-system_id92624 and these: https://www.phonearena.com/news/Apple-releases-iOS-10.3.2-update-with-bug-fixes-security-improvements-and-a-severe-battery-drain_id94441 https://www.phonearena.com/news/iOS-10.1.1-reported-to-drain-users-batteries_id88354 https://www.phonearena.com/news/Apple-iPhone-4S-users-say-iOS-6.1.1-causes-battery-drain_id39834 https://www.phonearena.com/news/Surprise-Another-iOS-update-accused-of-causing-battery-drain_id37932 Didn't expect to find those on this site, but with a little search for "911" and "iOS battery drain", got the results. You should try it too instead of remaining in denial. Cool so you linked one relevant article and bulked it out with articles about updates causing battery drain. Well, people always complain about battery life immediately after the update but then it settles down a few days later. "Well, people always complain about battery life immediately after the update but then it settles down a few days later" Sources? Or just something you pulled from your behind? iBabyboy spotted. keep crying while holding on to your outdated iJunks. iBabyboy? iJunks? How old are you, kid? If only people who post stuff like isheep, who think they are being original, knew how dumb the looked BTW, I have a OP3T in my hand. I like things about both phones. Kids these days... And apples "outdated" junk still runs circles around your $50 prepaid Walmart burner Android. You know why Apple releases phones once a year? Because that's about how long it takes for Android to catch up. "You know why Apple releases phones once a year? Because that's about how long it takes for Android to catch up" You do realise IOS11 has a file manager which these android phones have had for years?? Apple releases 1 phone a year so Android can catch up? Well Apple is a few years behind with their new file manager and finally using tech like OLED. The only thing Apple does better is the smoothness of IOS and the app store nothing else. They were light years behind android they finally catching up. You know that one could always have managed files on iPhone even without the file manager? In an extremely limited way, that even a dumb or feature-phone could do better. Nothing to be proud of. There is nothing limited in the way iPhone manages files without a file manager. How should I know what others are thinking? You're seriously delusional and naive if you actually believe what you typed. Simply to integrate media/ringtones downloaded from any other source besides iTunes into the central media players, how do you do that today? How do you save multiple content from 1 application and open all in a separate app? SMDH. Why should I need a second method besides iTunes and what does that has to do with managing files already on the phone? Give me an example of an app that allows you to save multiple content. Shoosh iJunk If you have a op3t then why give Apple the advantages knowing they are JUNK. Damn right why did they do that? It's nothing like it's all previous phones design. My pixel is still going strong!! Waiting on that Note8! OnePlus update to fix battery drain issue, the way they're selling it makes it sound like the battery draining too fast was a feature. Why can't they just admit they're fixing an issue instead of trying to hide it. That's how a cheap unreliable product repays you. Those Chinese startups are just overrated. Stop hyping thing up guys, you gotta be honest this phone never be in class with the Galaxy lines product, so expect major backlash from tech community. No issues for me here. All good. These random trolls! Ignore them, please. I don't wanna repeat but it sounds like OP seriously missed the ball with the 5. Amazing how one can make such a great device one day (3/3T) and such a blatant f**k up the next (5). I keep telling that Google seriously need to slow down. So that devices get more time to be matured and tested. We don't need a new phone every 6 months.